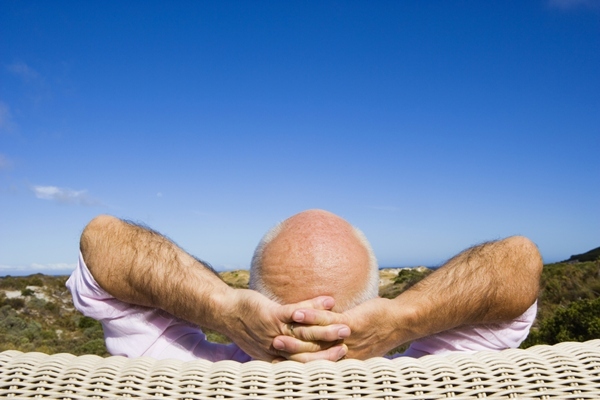 Home » General Health » Is Retirement Good for Your Health? You’ve worked hard over the years and now it’s time to kick back and enjoy a life of leisure. No more rubbing your eyes in the early morning dark in an effort to get to work on time. You can sleep in, eat a leisurely breakfast, and take the time to read the morning paper. It sounds idyllic, doesn’t it? Now, here’s a curious thing: results from studies published online suggest that many seniors don’t, in fact, enjoy retirement like they thought they would. What’s more, many end up feeling more mentally down and have a greater number of physical ailments than they did prior to retirement. What’s happening here? Let’s have a look at two of these recent studies to help shed some light on the subject. Researchers from Ohio State University have suggested that the millions of older adults who deal with new physical challenges, adverse cognitive changes, and the loss of loved ones as they age are likely not going to benefit from retiring. In fact, they say, work loss will only exacerbate a senior’s distress and lead to financially difficult changes in medical coverage. The research team set out to prove their hypothesis by examining the impact of job loss on the mental health of seniors and also the impact of re-employment. They found that job loss worsened the mental health of seniors whereas rejoining the work force improved mental health status. The researchers also noted that women seem to suffer greater distress than men when they lose their jobs due to a lay-off or business closure. However, despite general declines in mental and physical health, women fared better after retirement than men. The research team concluded that re-entering the work force seems to have beneficial effects for retirees. This is a new take on retirement and goes against the commonly-held belief that not going to work will create a life of happiness. Remember: retirement isn’t so much about not working as it is about being able to choose what you want to do with your time. Keep engaged socially with others and make sure you have the satisfaction of contributing something worthwhile to your community. You don’t have to keep this up 40 hours a week anymore, if you don’t want to. Just do enough to boost your financial income and to exercise your mental, physical, and social capacities. Mandal, B., et al., “Job loss, retirement and the mental health of older Americans,” J Ment Health Policy Econ. December 2008; 11(4): 167-76. Booth, P., “Retirement Bad for Physical and Mental Health,” Medical News Today web site, May 16, 2013; http://www.medicalnewstoday.com/articles/260622.php, last accessed Dec. 12, 2013. Sahlgren, G.H., “WORK LONGER, LIVE HEALTHIER: The relationship between economic activity, health and government policy,” IEA Discussion Paper No. 46, May 2013; http://www.iea.org.uk/sites/default/files/publications/files/Work%20Longer,%20Live_Healthier.pdf, last accessed Dec.12, 2013.